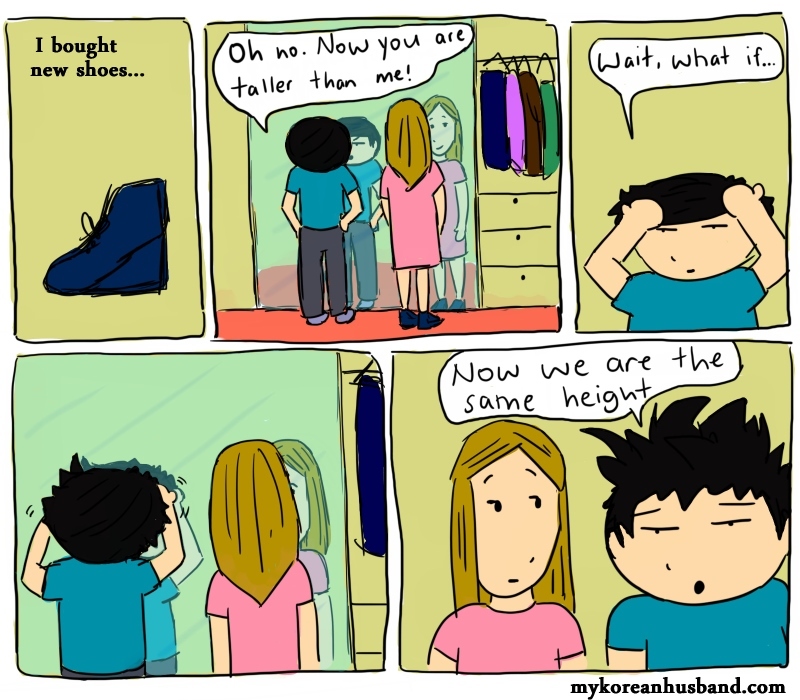 I am 173 cm tall which is on the short side in the Netherlands. I played flute for 3 years then was forced to pick up the guitar which I played for 6 months but I hated it so then I started playing violin. 1. What one thing have you not done that you really want to do? What’s holding you back? I’d love to be fluent in korean, however I am so scared to make mistakes that I can’t. 2. If you knew that everyone you know was going to die tomorrow, who would you visit today? I’d probably just stay with my family. Although my friends are my everything I wouldn’t be able to leave my family alone. 3. Have you done anything lately worth remembering? Not really, lately my life is a chain of boring events. 4. What lifts your spirits when life gets you down? My friends are always able to lift my spirits. 5. What’s the one thing you’d like others to remember about you at the end of your life? My passion to do that what makes me happy, my happiness in general and my generosity. And here are the answers to the questions for the second liebster award I got. This time I was nominated by bliss of Korea. Thank you ^^~! I used to go horseriding every week for about 7 years. I always complain about my hair being to dark although my natural hair color is very light blond. 1. Why do you blog? I like to share my things I am interested in or proud of. And I like to meet likeminded people. 2. What is the hardest thing you’ve ever accomplished? Get into pre-university high school. While my primary school only though I was good enough for pre-vocational high school. Man did I prove them wrong! 3. If you were an animal, what would you be and why? A butterfly, because no humans are afraid of butterflies and I would just fladder around them all day. 4. What was your most embarrassing moment? Oh man, I have a ton. Probably that one time -cough, many times cough- I fell from a flight of stairs. 6. If you only had a day to live, what would you do? Spend my day with family and friends. I got nominated for my first liebster award by No Shorts Cuts to Korean. Thank you so much! I have been a Koreastudies major for 2 years. My favorite subject in Highschool was biology but I sucked at it. I took 7 years of French in High School but when I try to speak French all that comes out is Korean. Questions from No Short Cuts To Korean. 1. Would you like to live in Korea ?If so,which celebrity you wanna meet?What will you say? I would love to live in Korea however I wouldn’t really go to meet celebrities. I want them to live your own life. If I saw one I probably wouldn’t even recognize him (I ran into Kim Jae Wook and I didn’t recognize him! – he wore a face mask and his military clothes though but still). But If I could say something I would just say that I love their music/dramas/movies and to keep up the good work. 2. Do you have a mannerism?What is it? Whenever I say I am pretty I do a really distinct hairflip that annoys my friends and didn’t even noticed I was doing until my friends pointed it out so trying to be a good girl and stopped doing it. 3. What is an ideal day for you? Just hanging around in a park with good friends, talking, having fun. Maybe enjoy a glass of wine or some 치맥 and just enjoy eachothers company. 4. If you could meet a person in the past who will it be? Marilyn Monroe. She is absolutely gorgeous and very charming I would want to know her secret. 5. What is your favorite subject in school and why? I don’t go to school at the moment, but in High School I loved biology and dissecting things. I especially enjoyed dissecting a starfish. I am just a curious human being that wants to know what stuff looks like, inside and out! 6. What is the most exhilarating thing you’ve done when you were young? Does 17 count as young? I traveled to Mongolia on my own when I was 17, defiantly a exhilarating experience. so again I have been gone for a couple of weeks. I worked 40+ hours and almost litteraly eating myself due to stress and all I felt like doing was sleeping. But fear no more, I’ll be back next week-ish. But first I want to thank the awesome people that nominated me for the Libester award. I didn’t expect to see that when I returned to my dashboard. But greatly appreciate it! So I won’t be back to my usual posting schedule yet first I will be answering all asked questions and at the end I will nominate my five blogs. It’s good to be back guys, I missed you! 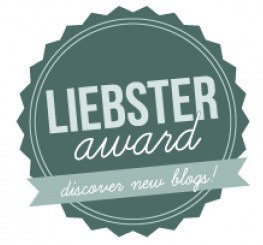 Tagged award, libester, thank you! Hello my name is Kang Seungmi. I have told you my real name before, Wietske. However I have another name that I frequently use. Kang Seungmi. Kang Seungmi is my Korean name, if you have watched the video above you will know how I got that name. Now I will tell you how I got my last name. My Korean last name is a whole other story and I only obtained it 2 months after I got my first name. I never imagined having a Korean first name, let alone a last name. I love my Dutch name, it’s unique and I think it truly reflects on who I am. I never wanted a Korean name, and I put up with all the butchering of my name because I would never ever ask someone to give me a Korean one. Then my Korean name was given to me and I used it on a daily basis, if people couldn’t remember my name I told them just to call me Seungmi and that’s that. I didn’t even think about adding a last name. Then on the day one of my best friends flew back to the Netherlands something interesting happened. She really didn’t want to leave, and rather leave with me. I would be flying back a week later and totally understood how she felt. She cried and told me I should also leave that day, to ease her pain. Although I did want to ease the pain leaving Korea is something I hate and I would never ever think about leaving early. She knows that too, told me it was okay and then she fetched the freshly printed ticket from the machine. However she did not get one but 2 tickets. Someone must have forgotten her ticket, a person called Seungmi, Kang Seungmi. And from that very day onwards I was not just Seungmi, I was Kang Seungmi. Me and my friends still laugh about this and she still complains that I should have left that day with her. She had my ticket so why did I stay! Tell me, do you guys have a Korean name? tell me what it is and how you got it, I would love to hear some more interesting stories! I recently found out about this website through my tumblr and I just had to share this with everyone else. My Korean Husband has funny and very recognizable comics. Like this one for example, now I don’t have a Korean husband, or even a Korean boyfriend. But I have enough Korean male friends that react in a similar manner. So if you have ever been to Korea I present you here with another website that can keep you occupied for hours – sorry-. While you are at it, also check her Tumblr, and her facebook and follow her on twitter.